"What shall we say, then? Shall we go on sinning so that grace may increase? By no means! We are those who have died to sin; how can we live in it any longer?" Therefore do not let sin reign in your mortal body so that you obey its evil desires. Do not offer any part of yourself to sin as an instrument of wickedness, but rather offer yourselves to God as those who have been brought from death to life; and offer every part of yourself to him as an instrument of righteousness." As a testimony to the power of grace against the enemy of sin, Paul sees the need to defuse a grievously wrong concept concerning grace. A false concept and a deviant application of God’s all-powerful grace is to engage in a life of sin. Paul had just written the Romans that God’s grace is greater than sin. do not accept it as the modus operandi. “…to God as those who have been brought from death to life; and offer every part of yourself to him as an instrument of righteousness." (or immanent) not transcendent, not creator. 2) the word gonia which means "an angle" or "a corner." Literally the word akrogoniaios then means "at the tip of the angle." Arogoniaios was the word used to refer to the stone set at the corner to establish the proper angle. A cornerstone is used as an image of the Messiah by Isaiah. Herod the Great built a monumental building 2,000 years ago over the site known as the Tombs of the Patriarchs in Hebron. 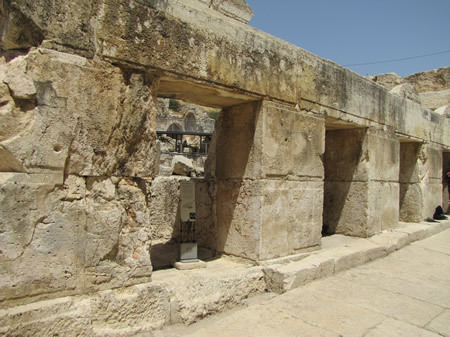 This building still stands and is built in the style of the Herodian Temple Mount. 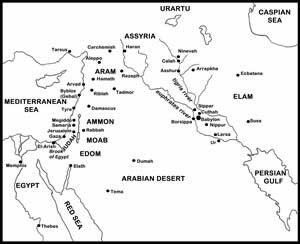 Below this structure are shaft tombs from the time of Abraham and Sarah with construction of buildings dated to the Old Testament times that cannot be seen today due to Muslim control. Do I allow sin to be part of my accept lifestyle? Is sin my modus operandi or is it righteousness my normal method of life? Shops from the days of the New Testament across from the west wall of the Temple Mount below Robinson's Arch. The first century pavement can be seen in front of the stores along with the curb of the street. 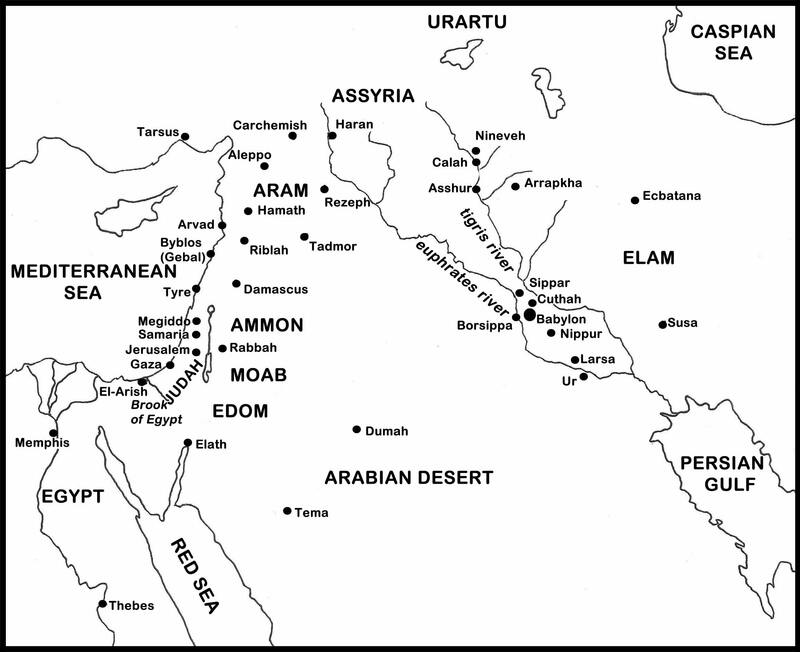 (click on image for larger size) Cities in the days of Jeremiah, Nebuchadnezer and Jerusalem's captivity around 600 BC.